Daniel Scocco from DailyBlogTips has recently finished his first e-book called Killer Domains. I’ve just read it and can definitely recommend it to anyone who considers buying domains. What is Killer Domains about? This is an e-book full of useful tips on researching and buying domain names. If you come from blogging background, you surely know what it is. For everyone else, a domain is simply a short name for your website – like perfectblogger.com, for example. There are many domain zones, like .com or .net, and every country has it own domain zone as well – like .ie (Ireland) or .de (Germany). The choice is yours, but the Killer Domains ebook helps you make this decision. Domains industry has been around for many years, this means that most of domains with single English words are already taken. But if you apply a bit of creativity and use one of common prefixes or suffixes, this may help you get the domain name you’re really happy with. Daniel’s e-book offers hundreds of prefixes and suffixes for you to use when brainstorming your domain name, and also gives you links to some of the best online tools to do the same automatically. When considering a domain name, you need to make sure you not only get the words best matching your business idea, but also that you pick the right words – uniquely identifying your niche and possibly the most popular for search engines. Again, Killer Domains has a great intro for those who have yet to explore the wonders of keyword research – it explains why such a research is important, and links to relevant online tools. Quite a few domain research websites sell their search query data to third parties. Such parties then analyze the data and purchase the most popular domains. I’ve had a number of cases when I was doing a research, had the best options identified, and then they were snapped away by someone else in a matter of hours. To avoid such frustration, it’s important to use only trusted research tools, and Daniel shares some of them with you. Killer Domains: should you buy it? It costs only 17$, and will mostly likely be totally worth it. It’s a 55 page e-book packed with really useful information presented in a simple way. 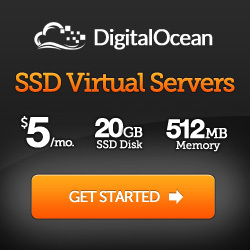 I totally recommend it to anyone who’s getting started with their first domain or website. 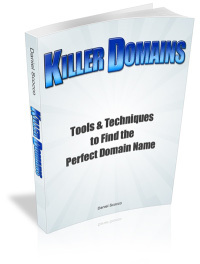 Head over to Daniel’s page about Killer Domains ebook about it or simply follow this link to buy your copy: Get Killer Domains e-book.